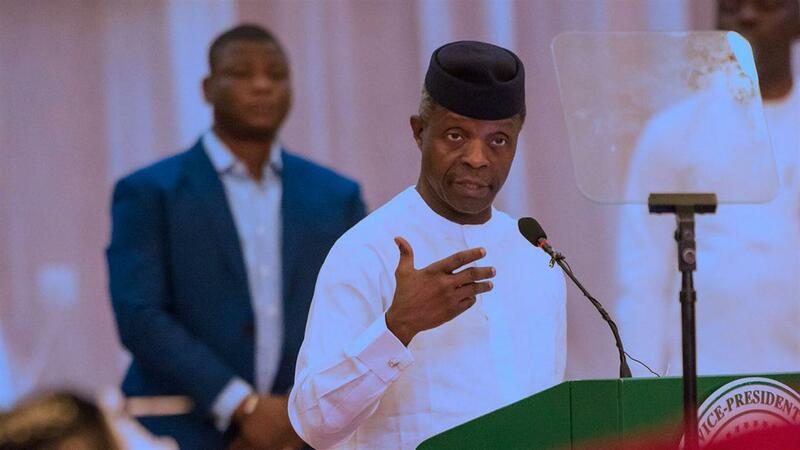 Acting President Yemi Osinbajo berates pastors for failing to support the Federal Government’s anti-corruption war saying they fail to preach against the scourge. In response to his claims, the former aide to ex-president Goodluck Jonathan, Reno Omokri has attacked Osinbajo for also keeping mute about the abducted Dapchi schoolgirl, Leah Sharibu, who is still held captive by the Boko Haram sect. He tweeted: “Yesterday, Osinbajo complained that Nigerian pastors don’t support Buhari administration’s anti corruption war and berated them for not preaching against corruption. Senator Shehu Sani, representing Kaduna Central, also countered Osinbajo’s claim saying religious leaders do preach against corruption in their sermons but Nigerians do not adhere to the preachings. “We are not in short of preachings against corruption.We are in short of compliance with the sermons,” Sani tweeted. However, a statement issued by the Christian Association of Nigeria (CAN), Rev. Samuel Ayokunle, who is CAN president makes some interesting contributions to Osinbajo’s claim. “Being a pastor, the acting president may know what we don’t know and he has a right to correct those whose teaching or preaching contradicts the scripture,” he said. “What we know is that the church must speak against evil in the land, corruption inclusive. The church has been speaking against the perceived genocide in the country, insecurity of life and property, hypocrisy, nepotism, greediness, tribalism, favourism, treasury lootings, lopsided appointments, etc. “These are all manifestation of corruption. Corruption goes beyond greed and diversion of public money into personal hands. Whether our leaders, politicians and civil servants are listening is another thing entirely.